Don't be sorry. 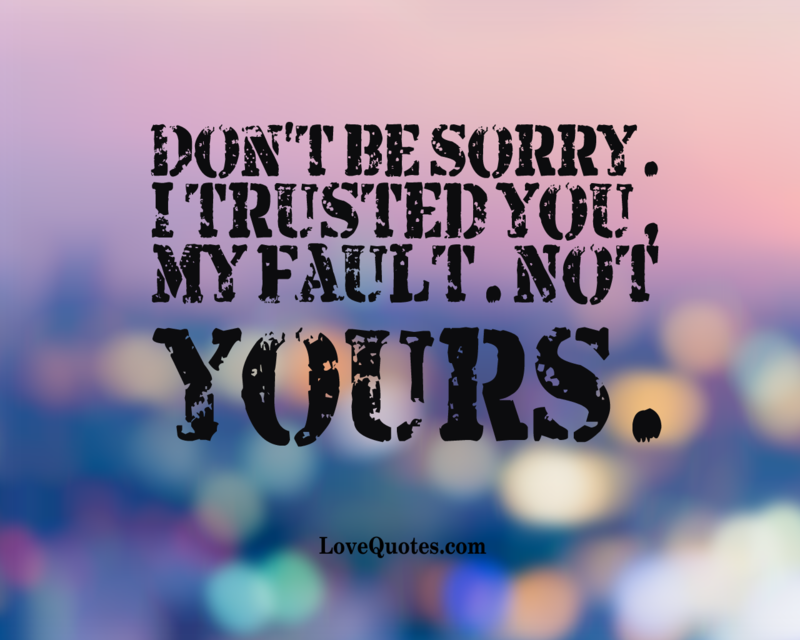 I trusted you, my fault. Not yours.